After Cecil Taylor passed on Apr. 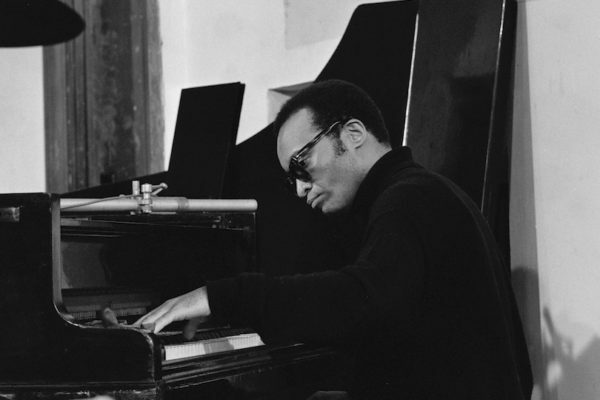 5, 2018 at the age of 89, most of the memorial salutes to the groundbreaking pianist described him as a pioneering figure in free jazz. Of course, that’s true but it’s only a part of what Taylor was about. In addition to being one of the musicians most responsible for breaking jazz out of its bebop box, he was an artist heavily informed by the European classical tradition as well as the “new music” avant-garde. On top of all that, he was a ballet composer and a poet. It would not be unreasonable to speculate that it was mostly institutionalized racism that kept Taylor pigeonholed as strictly a jazzman, when in fact he had as much in common with white avant-garde contemporaries like John Cage and Morton Feldman as he did with jazz peers like Ornette Coleman and John Coltrane. Taylor began his recording career in 1956 with the Jazz Advance album. Free jazz wasn’t even an idea on anybody’s mind yet. As he would continue to do for the next several years, Taylor cut a combination of his own tunes and those of others (Monk, Ellington, etc.). But even at this early juncture, he took them so far outside that it already represented a revolutionary leap in musical thinking. By the time he recorded 1962’s Nefertiti, the Beautiful One Has Come, Taylor was working with saxophonist Jimmy Lyons and drummer Sunny Murray, who had a huge hand in helping him push his approach further into the stratosphere. At this point Taylor’s band kept just a tiny toehold in jazz tradition; for the most part, theirs was an unfettered adventure in sound. Where do you go after you’ve already turned music upside down and inside out? If you’ve got a relentlessly searching, endlessly creative soul like Cecil’s, you keep exploring every possible artistic avenue for as many decades as the universe will allow. After his game-changing ’60s work, Taylor investigated a multitude of new landscapes. He pursued solo performance, covering as much tonal ground behind the keyboard of his mighty Bösendorfer as he could with an entire band. He entered academia, teaching music at Antioch College and the University of Wisconsin. He wrote poetry, sometimes incorporating it into his musical presentations. He composed extensively for dance performances. He recorded scads of albums with countless top-tier musicians, forming a series of world-shaking ensembles including his late-’70s band with Lyons, trumpeter Raphe Malike, violinist Ramsey Ameen, bassist Sirone, and drummer Ronald Shannon Jackson, as well as his Feel Trio of the ’90s with bassist William Parker and drummer Tony Oxley.